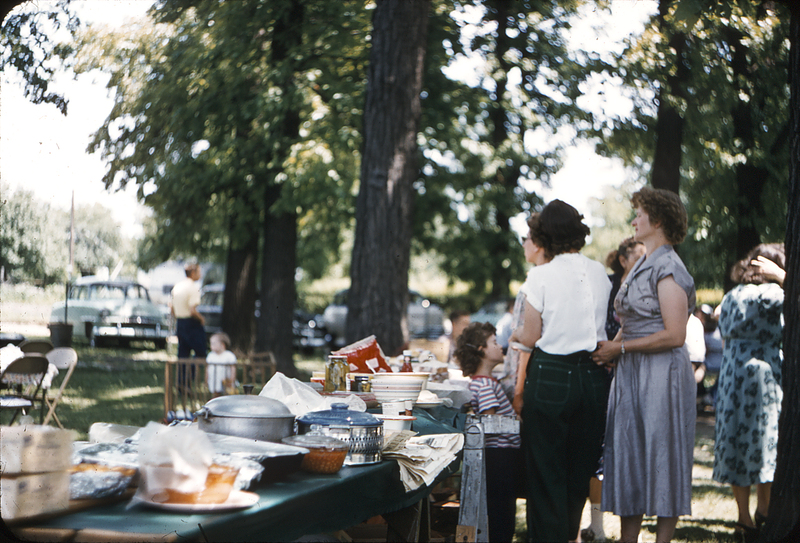 One hundred attended the annual picnic of the Dayton school yesterday at the school grounds. Dinner at noon was followed by races and other sports. Later ice cream and cake were served. Winners in races were Carl Schmidt, preschool age; Shirley Patterson, 1st grade; Sylvia Ralrick, second grade; Rosemary Patterson, third; Bobbie Buckley, fourth; Ardelle Taylor, fifth and sixth; Elaine Thomas, seventh; Edward Patterson, eighth; Teddy Mathews, high school; Mrs. Homer Matthews and Mrs. Naomi Trent, married women’s. ← Did You Help Pick Milkweed Floss? I was 6 months old and probably there.